Do Sothink and Xilisoft Bluray Ripper Rip Protected Bluray? If No, How? When it comes to Bluray ripping, MakeMKV and Handbrake seem to be one of the top choices as Handbrake is always free and MakeMKV is free while in beta. However, as discussed in this post, it takes two steps and the output is really limited. There are quite some ripping solutions say they support Bluray ripping, Sothink Bluray Ripper, and Xilisoft Bluray Ripper are two of them. However, how do they work and do Sothink and Xilisoft Bluray Ripper support protected Blu-rays? 1 Do Sothink and Xilisoft Bluray Ripper Rip Protected Bluray? Do Sothink and Xilisoft Bluray Ripper Rip Protected Bluray? 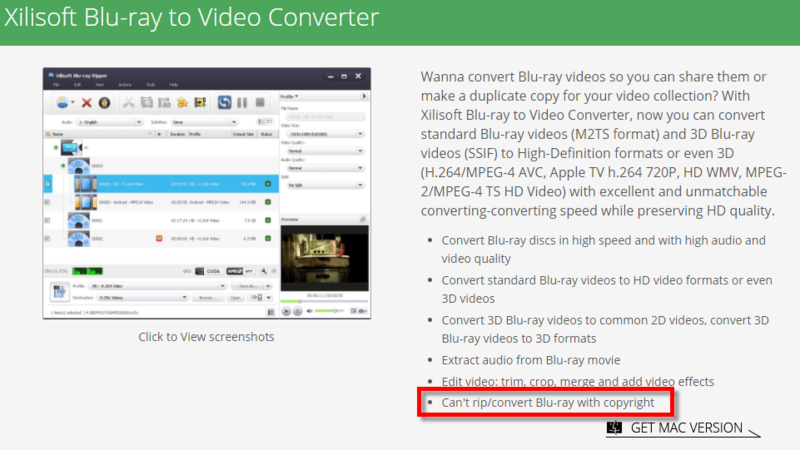 So, neither Sothink nor Xilisoft Bluray Ripper supports copy-protected Bluray disc. It is really disappointed to know they two only support un-protected Bluray dics as all commercial Bluray dics are protected with AACS, BD+ and MKB. Here I’d like to recommend two Bluray rippers that are able to run on both Windows and macOS and support copy protected Bluray discs. When it comes to Bluray and DVD Ripping, Leawo is always one of my top choice due to the fact that it supports all kinds of Bluray protection including AACS, BD+ and the latest MKB up to v64 at the very moment. Wonder Woman is one of the latest Bluray disc I rip, which does not work with neither Sothink, Xilisoft Bluray Ripper, nor MakeMKV and Handbrake, but Leawo Bluray Ripper gives me a perfect copy. 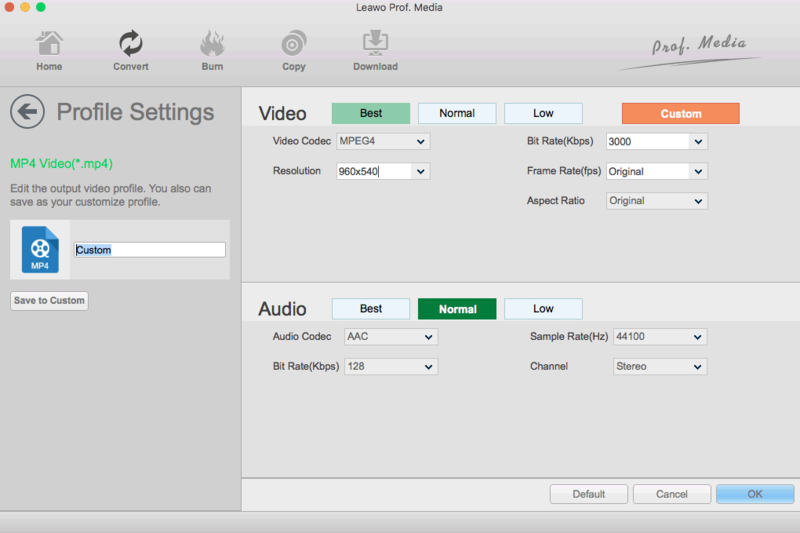 Leawo provides various output for Bluray ripping including MP4, AVI, MKV, MOV, ASF, etc as well as profiles for devices from Apple, Samsung, Sony, Microsoft, Google, HTC etc with MP4 Video by default. 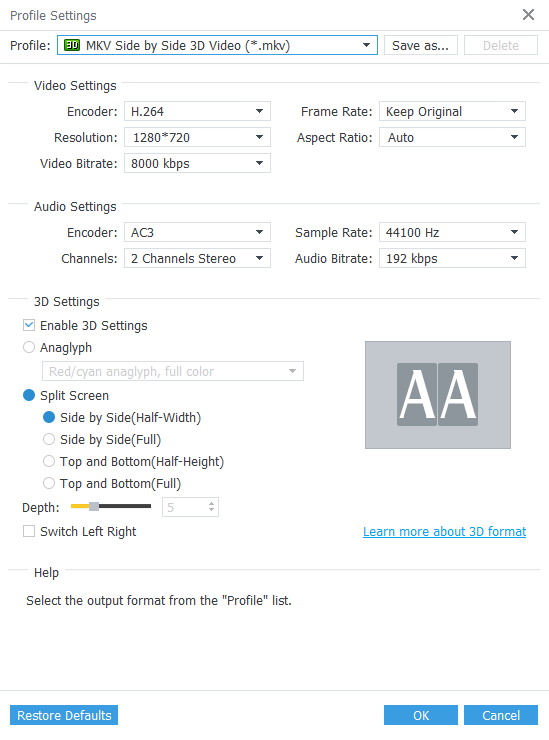 You are always free to custom all those profiles in video and audio bit rate, video frame, resolution etc and save and make it default as your own. Besides, Leawo Bluray Ripper also works for DVDs. AnyMP4 Bluray Ripper is another all-in-one Blu-ray ripping solution that supports Windows 10, macOS Sierra and High Sierra. AnyMP4 seems quick unique to me with special features. With AnyMP4’s cloud technology, its Bluray Ripper is also powerful in removing protections that are commonly used in Blu-ray disc including AACS, BD+ and MKB. So, it is always recommended to allow Internet access to AnyMP4 Bluray Ripper so as to get Bluray key for better decryption. AnyMP4 really impresses me by its 3D options for all most all video formats and various 3D options like side-by-side (full and half width), top-and-bottom (full and half height), red/cyan, green/magenta, amber/blue anaglyph. Please note, AnyMP4 Bluray Ripper only works for Blu-ray discs and AnyMP4 DVD Ripper is the very one for DVD ripping. ← How to Rip and Backup DVD American Assassin to MP4 AVI MKV for Watching on iPhone/iPad/TVs/PC/Mac?